Elegant and stylish, Jamaica Inn has been enormously popular since the 1950s when glamorous Hollywood types first started gracing the grounds – and it’s easy to see why the appeal lingers today. Fronted by a sweeping private cove laden with gorgeous golden sand you could spend hours sunning yourself on the beach without a care in the world. But beyond the photogenic appearance, the hotel has a lot to offer. There’s a grown up and mature atmosphere and it’s blissfully quiet; this a great place to stay with like-minded people in search of relaxation and rejuvenation. 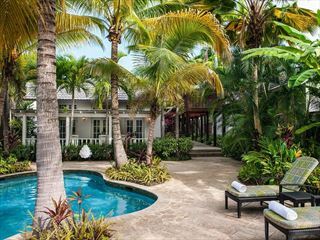 For those in search of a truly tranquil haven, the cottages offer complete privacy and seclusion making them truly ideal for couples and honeymooners. Dinner is served in an open-air terrace, dressed in colonial-style furniture with some genuine antique pieces. The rather traditional dress code means that every meal feels like an event – with sumptuous offerings to match the elegant attire. Like the whole of the resort, it’s characterful and charming. 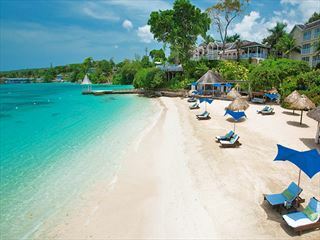 Further reading: Jamaica Inn is featured in our guide to the top 10 luxury hotels in the Caribbean. 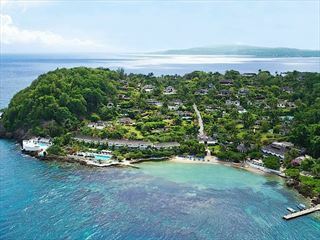 The resort sits on Jamaica's northern coast, close to Ocho Rios. There is horse riding available at the nearby Chukka Cove Farm and you’ll also find opportunities for scuba diving and motorised watersports close by.